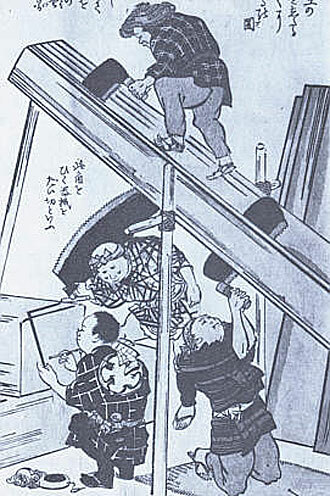 Kobiki-Nokogiri were used in ancient Japan for the rough ripping of logs into boards for carpenters and cabinetmakers. 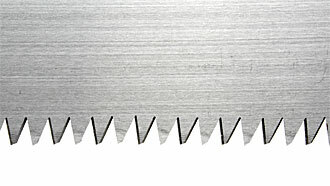 These saws were used by one man, in contrast to Europe, where typically two men used a ripsaw for similar purposes. 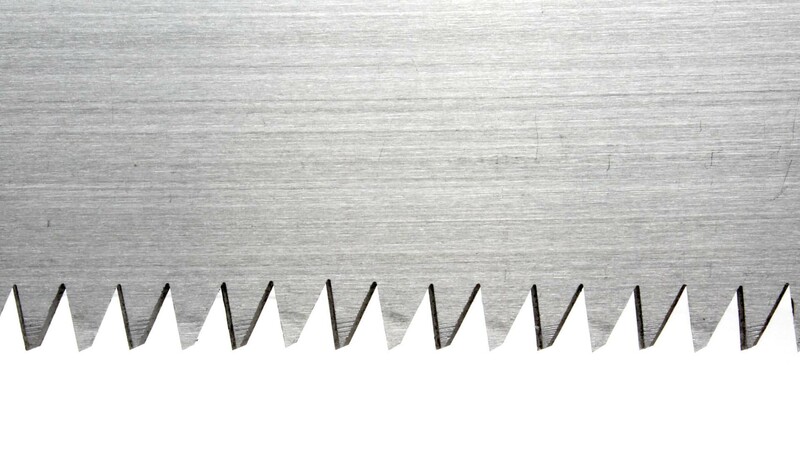 To properly guide them in very long cuts, the blades of Kobiki-Nokogiri, also known as Maebiki-Nokogiri, were much wider than those of other saws. The saws were roughly made, and at times still showed the smith’s forge marks. Blades were laboriously hand-tapered from teeth to back to prevent jamming. Unfortunately, these saws gradually disappeared with the advent of the industrial revolution. However, Temagori-Nokogiri, which are very similar to Kobiki, are more readily available, but are not as wide or as stable. They are used mainly to cut standing timber and thick branches. We got some Temagori Nokogiri - specially produced for us. They are nowadays even uncommon in Japan. Japanese sawyers ripping a log into boards. 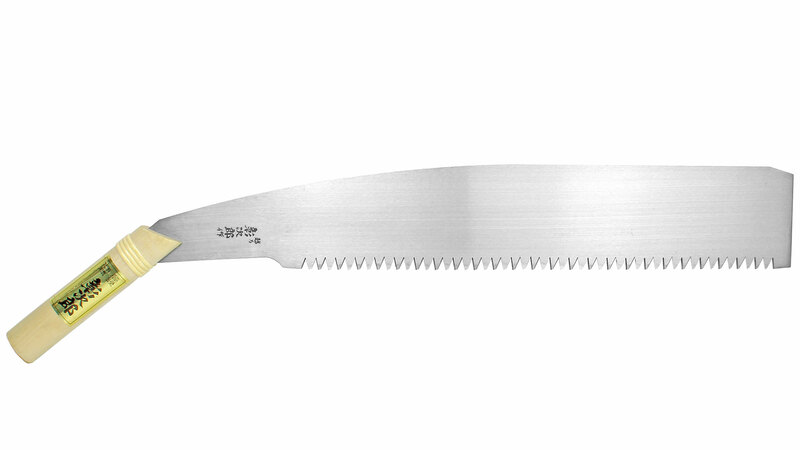 Temagori Nokogiri Crosscut mainly for crosscut, for felling trees, with wooden handle. Resawing (ripcut of logs) works quite well with this saw, but not as fast as with a ripcut saw. 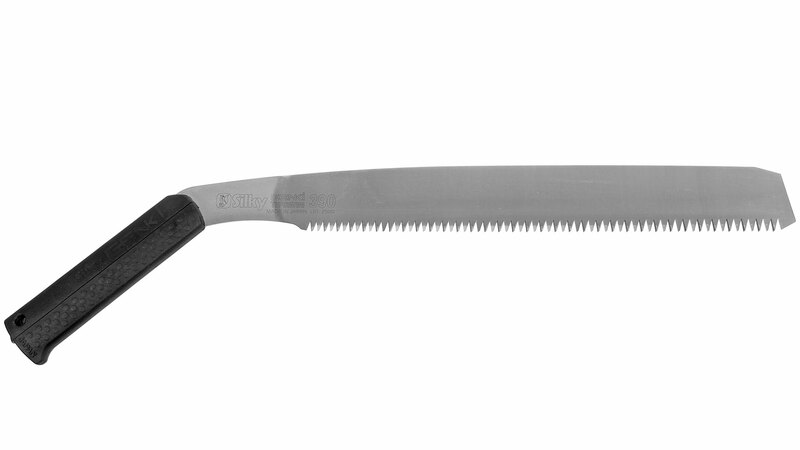 Small Temagori Nokogiri Crosscut mainly for felling trees and cutting of thick branches, with plastic handle.